Charlie and his friends are back in danger, and the balance of power between the Children of the Red King has never been more dangerous. Billy finally gets his longed-for parents, but he soon wishes he hadn’t when the oaths he’s forced to sign come flying through the air at him! 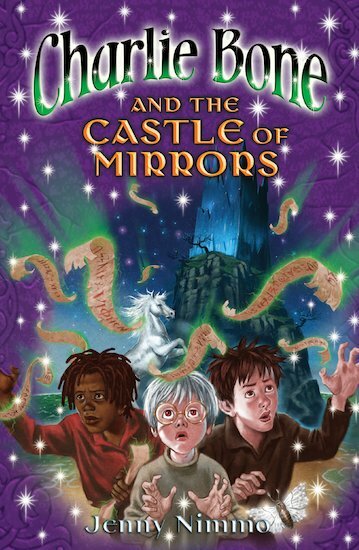 Charlie is haunted by a ghostly horse, mad with rage over an ancient wrong that happened in the sparkling Castle of Mirrors, the castle petrified from stone into glass by the sorcerer Yorath in a terrible fire. Charlie’s friend Olivia is haunted too – but no one knows her secret. Even with the power of Tancred’s storms and Lysander’s ancestors, Charlie Bone is running short of allies – just when he needs them most.